Part primer, part personal history, part guide to spiritual practice, this book opens the door to an understanding of Buddhist spirituality, which engages more and more Westerners as the millennium approaches. 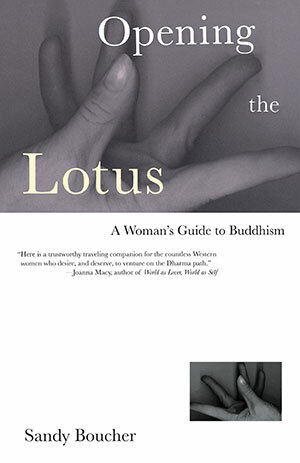 Through personal anecdotes, lively explanations, and thoughtful discussions, Sandy Boucher presents a female perspective on fundamental Buddhist teachings such as compassion, detachment, and enlightenment. Includes a directory of women teachers in the United States, Canada, and abroad.